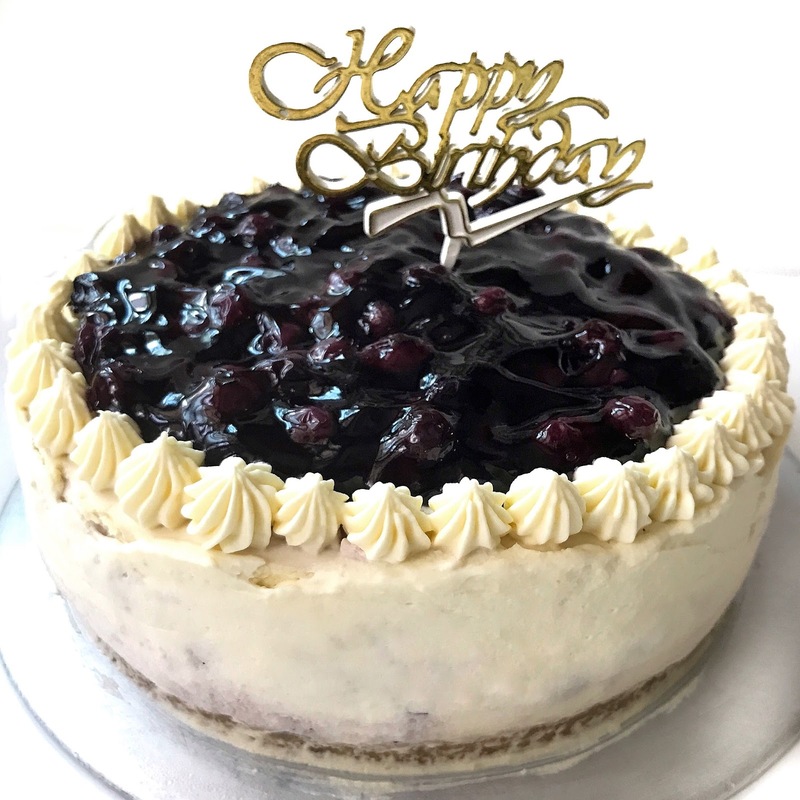 It’s almost a yearly family tradition to celebrate Daddy’s birthday with a blueberry cheesecake. To the man in the house that loves desserts, cakes and basically anything sweet, here’s a cake baked specially for him! 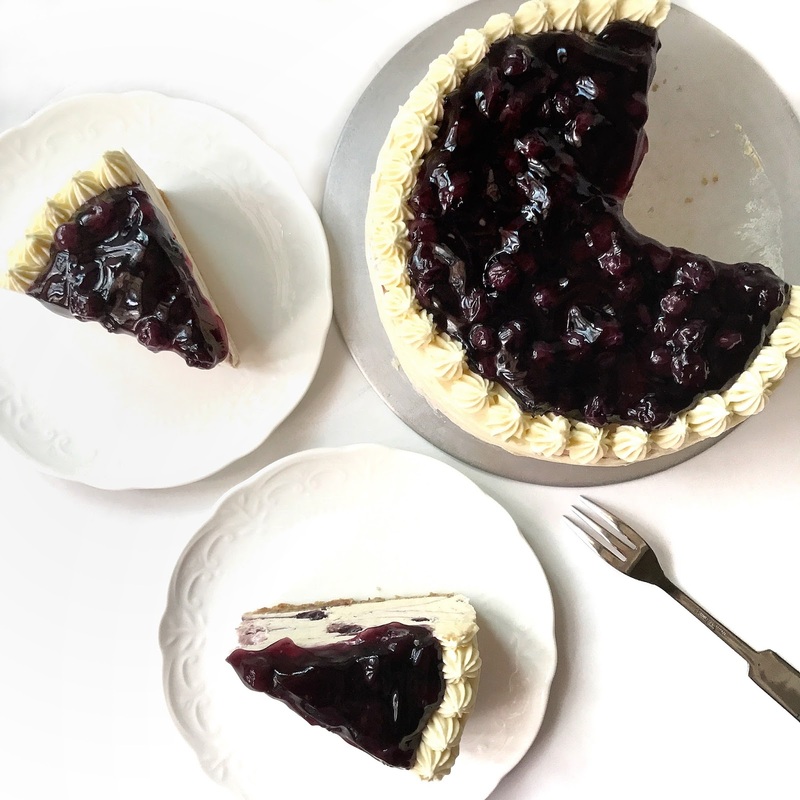 Here’s a creamy non baked vanilla cheesecake swirled with blueberry filling that is set in the fridge for a few hours. After cake has set, another layer of cream cheese is frosted over and piped on the circumference of the cake. 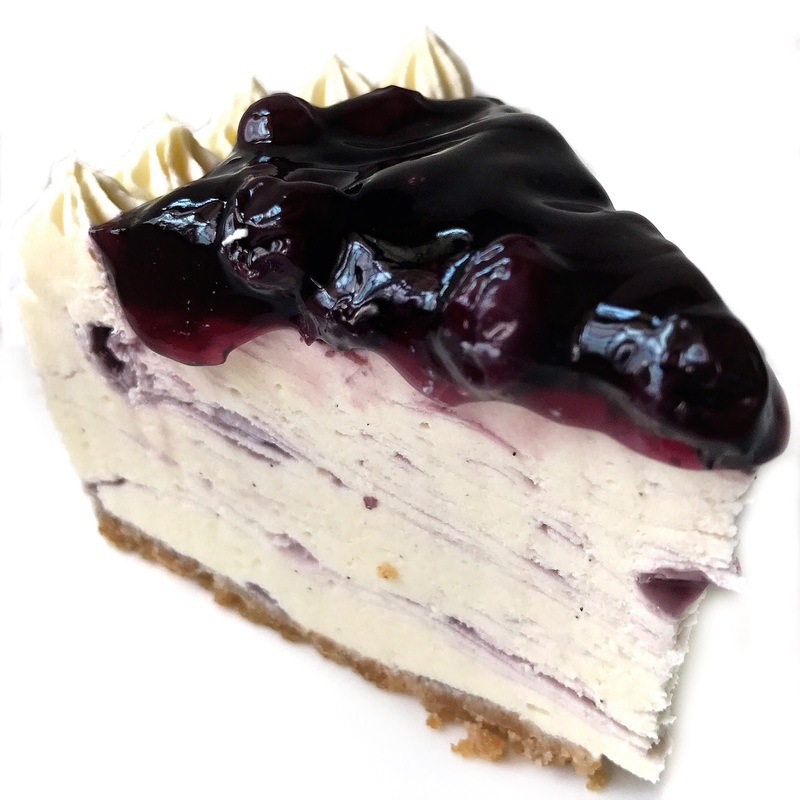 To finish the whole look, a generous layer of blueberry filling is spooned onto the top. 6) Fold in whipped cream. 8) Add another layer of cream cheese and do the same. 9) Set in fridge for at least 4 hours or overnight.